Here’s the original concept sketch of Max. He seems a lot more stern action-hero-like than loveable doofus here. 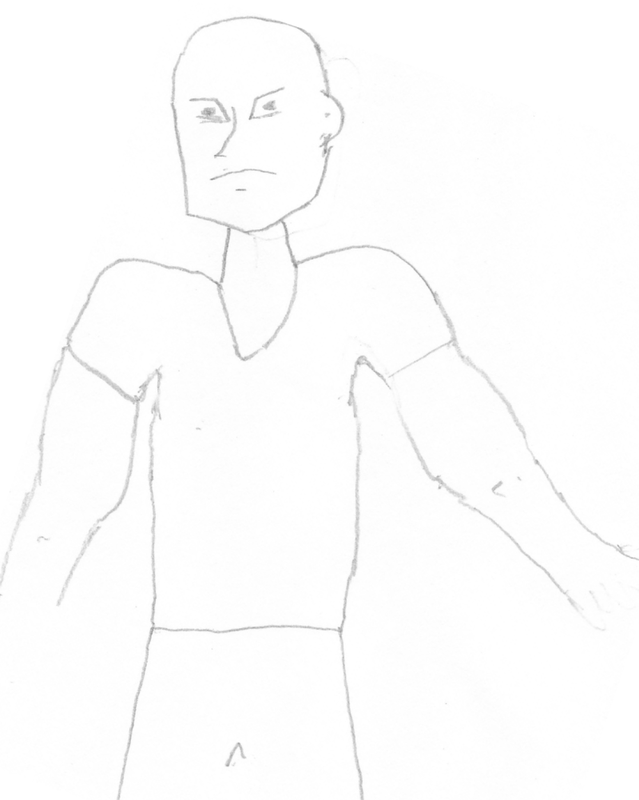 In later drawings, I ended up exaggerating his biceps more to increase his appearance as a comedic strongman.